The idea of settling in the regions beyond Siberia will only appeal to Russians if they feel they can benefit from the booming economies of Asia. With the rise of China and India and with them the ASEAN countries, the balance of economic power in the 21st century will continue to tilt eastwards. Thanks in large part to the Trans-Siberian landmass; Russia can reap the benefits by being at the crossroads between Asia and Europe. Cities such as Khabarovsk and Vladivostok, the host of the APEC summit in September, are essentially European in character, despite being deeply entrenched in Asia. The areas that consist of the Russian Far East are facing a huge demographic crisis with the population of the gigantic landmass being less than 7 million. As beautiful as the nature is of Kamchatka, Sakhalin and other areas in the region, and as charming as the major cities are, the region seems to be stuck in some kind of time-warp. The infrastructure in many parts of the region is crumbling and costs of living remain among the highest in all of Russia. Having lived in the Russian Far East for around 4 years, I could understand the mindset of many young people, who were simply frustrated with living in “the end of the world.” A lot of people in the region were frustrated that it was cheaper to fly from Moscow to Bangkok than from a far eastern city in Russia. The only way from Sakhalin was to fly via Seoul and the 2 companies that operated flights decided to team up and charge ridiculous fares for the trip, comfortable in the knowledge that Shell and Exxon would even pay business class fares for their managers! Until recently, there was a great amount of paranoia from the federal authorities that other countries had a disproportionate interest in the Russian Far East. Once Russia and China signed a border treaty, the latter completely gave up claims on a large swathe of Russian territory. And since 2007, the numbers of Chinese citizens living and working in the area has dwindled thanks to a law that banned foreigners from working in Russian markets. Behind closed doors, Japan and Russia know that the best solution to the Southern Kuril Island dispute is to agree to disagree. The APEC summit is the first step in opening up the resource-rich region to Asia. There was also serious talk of making Vladivostok a major financial centre. The city could also become a logistics hub for trade between Europe and Asia. These kinds of measures will open a floodgate of opportunities for Russians and expats in the region, but Russia needs to take several steps to integrate the region with the rest of Asia. Easing travel restrictions and increasing air links between the Russian Far East and major Asian cities will help make some of the great Asian cities more accessible to Russians. It’s ironic that a large number of Russian visitors in cities such as Hong Kong and Kuala Lumpur are from Moscow or St Petersburg. Expanding connectivity between the Russian Far East and Asian cities will make the latter as accessible for Russians in the Asian part of the country, as Europe is for those living near Moscow. 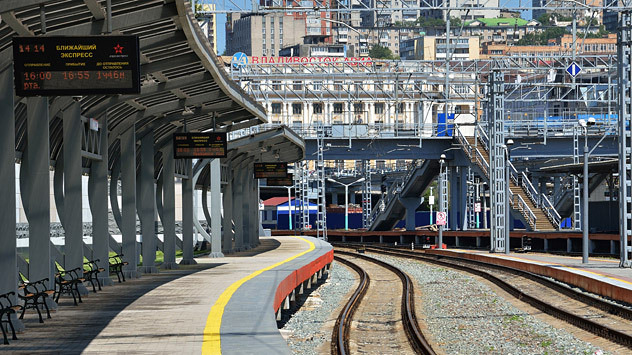 Greater connectivity with Asia and the benefits of increased cooperation and trade with the region may even bring internal economic migrants to the Russian Far East. Thousands of people came to Sakhalin from the European part of Russia during the peak of the oil boom. There’s no reason that a serious economic boom in the greater part of the region, won’t just attract internal migrants but also stop the “exodus” of people heading closer to Moscow. Ajay Kamalakaran was the editor of the Sakhalin Times from 2003 to 2007.